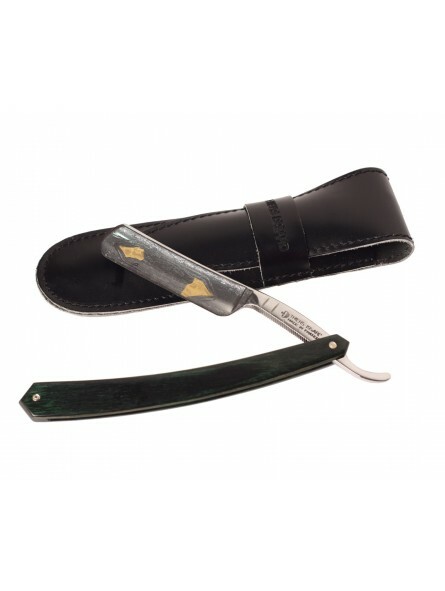 Thiers-Issard 5/8 Straigh Razor Loup et Bélier Green Stamina handle. Forged from 100% carbon steel C135. One side is mirror polished and the other side is satin polished. Anti-slip knurling on the lower side of the tang. Loup et Bélier mark is hade-done with gold leaf on the blade. 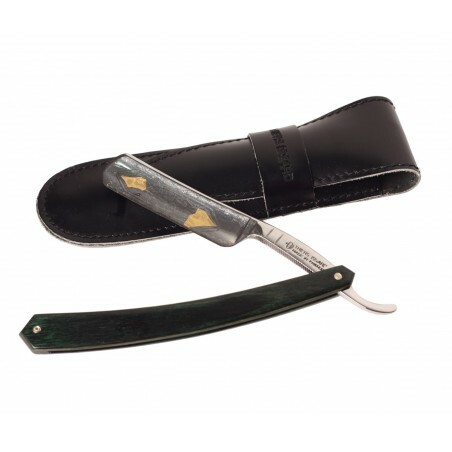 Thiers-Issard straight razors are ready to use, be careful when opening. Straight razor is delivered in a special luxury barenia leather pouch with sliding closing tongue.